Green gradient background vector with threshold style landscape graphics. Grunge and splash textures add character and layers of depth to the design. 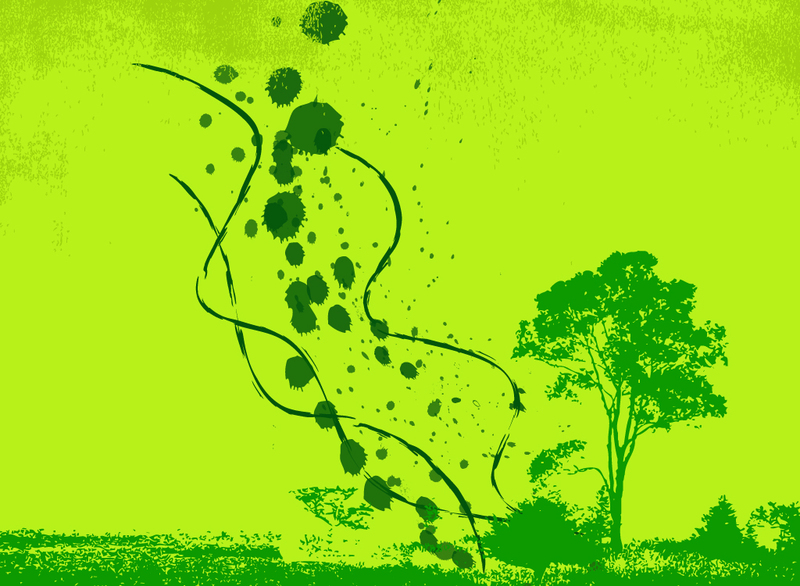 Use as a Illustrator backdrop or base for a “Green” or ecology themed project. Zip file comes with AI, PDF and JPEG files for easy and fast editing. Tags: Green, Grunge, Leaf, Nature, Paint, Plants, Splash, Texture, Tree, Vines.